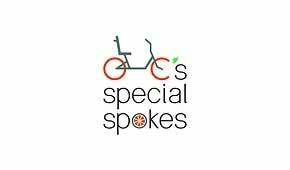 OC’s Special Spokes (OCSS) is dedicated to providing affordable adaptive tricycles to individuals with special needs through fundraising and community events. The Courtney's SandCastle Charitable Foundation is recognized by the IRS as a tax-exempt 501(c)3 non-profit organization, gifts to which may be deductible as charitable contributions for federal and state income tax purposes, as permitted by state law. EIN 27-5063200. Courtney's SandCastle logo courtesy of Kathryn Stovall-Dennis, original sandcastle design by Jay D. Jenks.